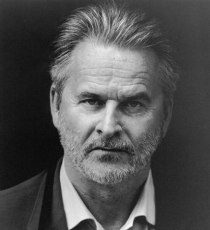 Trevor Eve is a two-time Olivier Award winner and screen actor, best known for roles such as DCI Peter Boyd in Waking the Dead, Eddie in Shoestring and Jonathan Harker in 1979 film Dracula. He has also appeared in television series Unforgotten, The Interceptor, Death Comes to Pemberley, and A Discovery Of Witches. Trevor was awarded Olivier Awards for his performances in Children of a Lesser God and Uncle Vanya (Noël Coward Theatre).